The Every Woman Every Child Innovation Marketplace is seeking peer reviewers to assess projects/innovations. The EWEC Innovation Marketplace is a strategic alliance between development innovation organizations including The Bill and Melinda Gates Foundation, Grand Challenges Canada, the United States Agency for International Development (USAID), UBS Optimus Foundation, and the Norwegian Agency for Development Cooperation (NORAD). What is the Innovation Marketplace? 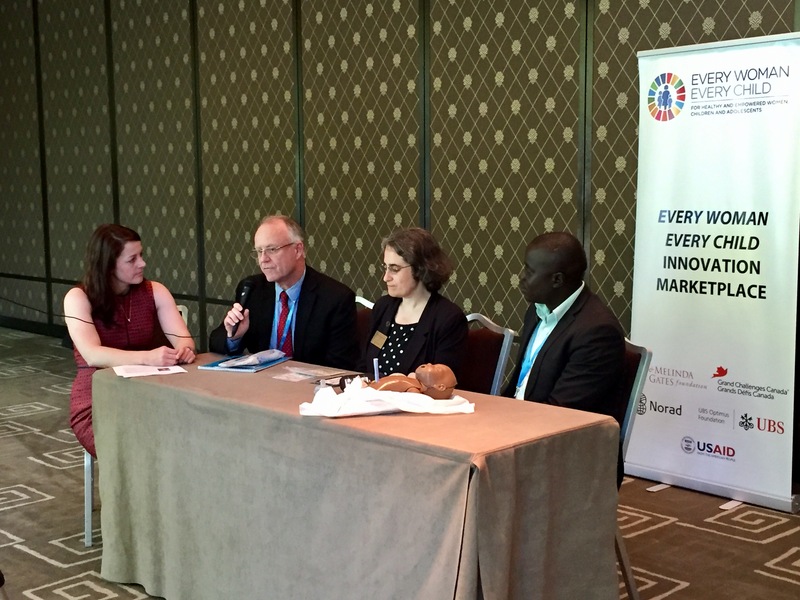 The EWEC Innovation Marketplace was launched in September 2015. Its goal is to conduct a comparative analysis of innovations (curation) and broker funding for innovations that show the greatest promise for impact on women’s, children’s and adolescents’ health in low and middle income countries. The EWEC Innovation Marketplace aims to facilitate investment in 20 innovations by 2020, and to see at least 10 of these innovations having widespread positive impact by 2030. The EWEC Innovation Marketplace relies on reviewers to lend their diverse technical, clinical, academic and implementation expertise to the review of project/innovation proposals. These reviews inform comparative analysis and decisions to prioritize the most promising innovations for further due diligence and brokering. The EWEC Innovation Marketplace offers reviewers an optional honorarium for each package of innovations (3-4 projects) reviewed and publishes the list of reviewers. Reviewers must hold a graduate degree and typically have several years of work experience. The EWEC Innovation Marketplace aims to recruit reviewers from diverse geographies and encourage reviewers from low and middle income countries to apply. The process is similar to peer review process at most funding agencies. Reviewers will receive a package of 3-4 proposals for projects (also known as innovations) relevant to their field of expertise. Each innovation will have accompanying information to allow for a comprehensive review. Reviewers are asked to fill out a review template consisting of five short answer questions. Reviewers typically complete two review packages per year. Response: To tackle this bottleneck, the objective is to facilitate 20 investments by 2020 and by 2030 to see at least 10 of these innovations widely available and having significant impact on women, children and adolescents. Catalyzing investment in high quality innovations to improve women’s, children’s and adolescent health. Linking a supply of innovations from development innovation organizations to demand from companies and governments. Providing a mechanism for development innovation funders to source new deals and crowd-in co-funding for exciting projects. Convening stake holders from the private sector, civil society and government to health ease the pathway of innovations to scale. Please submit a CV to the Innovation Marketplace (innovationmarketplace@grandchallenges.ca) or send an email with any questions.